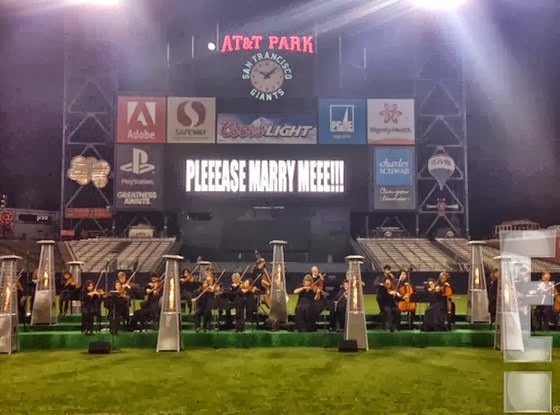 Using San Francisco's AT&T Baseball Stadium, 'PLEEEASE MARRY MEEEE!!!' 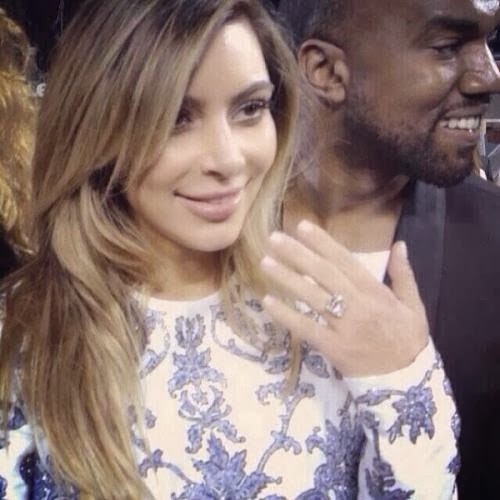 flashed on the field's scoreboard screen, and fireworks popped off after Kim Kardashian said yes! The Orchestra played one of my favorite songs from The Great Gatsby Movie Soundtrack, Lana Del Rey's Young and Beautiful and then Kanye West's, Knock Me Down with Keri Hilson.